← Monthly rotation and checklist. This story illustrates how quickly we forget on this day….that so many, warriors and their families, continue to sacrifice so we may go about our daily lives. Sergeant First Class William “Brian” Woods was a Team Medical Sergeant of Bravo Company, 2nd Battalion, 20th Special Forces Group (Airborne). 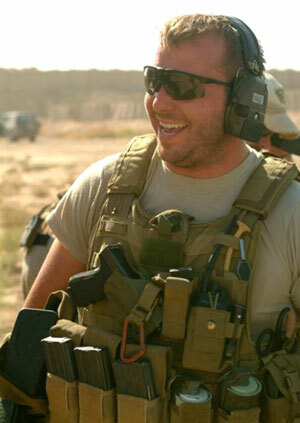 On August 14th, Brian was shot and killed by small arms fire in Ghazni, Afghanistan. At 32 years old, Brian had done multiple tours of duty in the War on Terror. He enlisted in the Marine Corps and served four years before joining the Army and becoming a Special Forces Soldier. He leaves behind a wife, Elizabeth, and two daughters in Chesapeake, MD. It seems that Brian’s funeral procession in St Louis county caused one motorist an “inconvenience”. The motorist complained to the County Sheriff. The original email below was sent to Sheriff Glenn Boyer on Thursday, August 27. Below is the citizen’s email followed by Sheriff Boyer’s response. 1) This procession should never have been held during rush hour traffic! Hwy. 270 is dangerous and people drive way too fast and there is too much traffic. This soldier’s certainly would not have want his family hurt on the interstate taking him to Cedar Hill. People were dead-stopping on the interstate even though the procession was in the far right lane, the other three lanes just stopped. There were many near accidents and possibly were after I drove through. I was in the 2nd to left lane, no way obstructing the funeral procession. Subject: Re: Fw: Re: Funeral Procession – Yesterday p.m.
Let me introduce you to him. After high school, Sergeant Woods entered the Marine Corps. After his contract was up, he joined the Army, where he became a Green Beret. He comes from a long line of military members in his family. His Uncle is a Vietnam Veteran and two of his grandfathers were World War II Veterans. His job in the Army was one of the most dangerous jobs – he was a sniper looking for the bad guys to stop before they killed or injured one of our soldiers. He has numerous decorations to include the Bronze Star and the Purple Heart. While you were being inconvenienced in your car on your way home, there were soldiers just like Sergeant Woods carrying 100+ pounds of equipment in 120 degree heat, up some mountain or in the middle of some desert. They will shower out of a helmet liner if they get the chance. They will eat a cold meal of MRE’s; something most people would consider garbage. They cannot text their family or friends, or go to McDonalds, or watch TV. They can only continue the mission and look out after the guy to the left and right of them. They don’t complain because they know they volunteered. The only thing they ask is that we do not forget the sacrifices they have made. One of the dirty “big hoo ha” bikers, as you call them, was Brian’s uncle, a Vietnam Veteran, like myself. We were not treated with a homecoming. We were spit on and called baby killers by a misguided public. Brian’s uncle was giving him the respect that he, himself, never received when he came back and I, for one, am proud of him for doing so. My mother recently passed away. She was a World War II Veteran, serving the U.S. Army. She would say, maybe you should pick up Sergeant Woods’ ruck sack and carry on where he left off. Then you could see first hand what it really is to be inconvenienced. Per your request, I will forward your complaint to the Prosecuting Attorney’s Office for his review. It is my personal opinion that your complaint is self-serving and without merit. Update: More here at Soldiers’ Angels Germany. WOWsome people just don't get it. I can bet without any fear of losing how this person voted.Great post. Thank you for sharing this, and Sage for liking to it. Not only am I proud to be the daughter of a veteran, but a stepmother to two soldiers – one who is visiting us this weekend and brought 3 of his buddies with him. I was proud to see my community come together to show the appropriate respect to a local fallen solder a few years ago. This "woman" has no idea what "inconvenience" really is. It's incredible to me that someone would be so disrespectful for a funeral at all! Especially a soldier fighting for our freedom!Anytime there is a loss of a loved one, it should be respected. Period. Thank you for sharing. It is a true picture of how selfish some can truly be and how many take for granted the luxuries that we have while our fellow citizens risk their lives for us to have the freedoms that we do.